Looking for the ultimate fish, the one that always seems to get away? Then catch a winner with Marlin, the only international billfishing magazine gives you all the information you need to become a better angler: updates on the world's hottest billfishing destinations, insider tips on live baiting, trolling and fish-fighting techniques, feature glimpses of people influencing the sport, and reviews of the newest sport fishing boats, equipment and electronics. Reel in your best catch yet with Marlin. 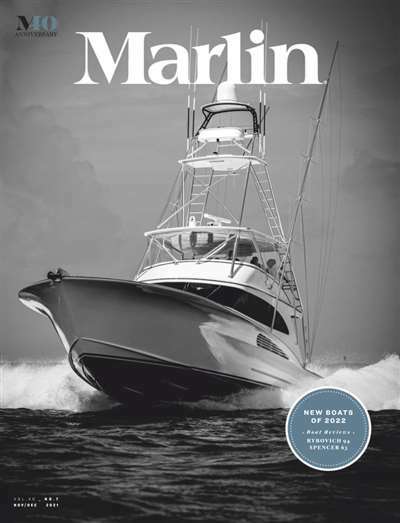 Subscribe to Marlin Magazine at MagsConnect Canada.